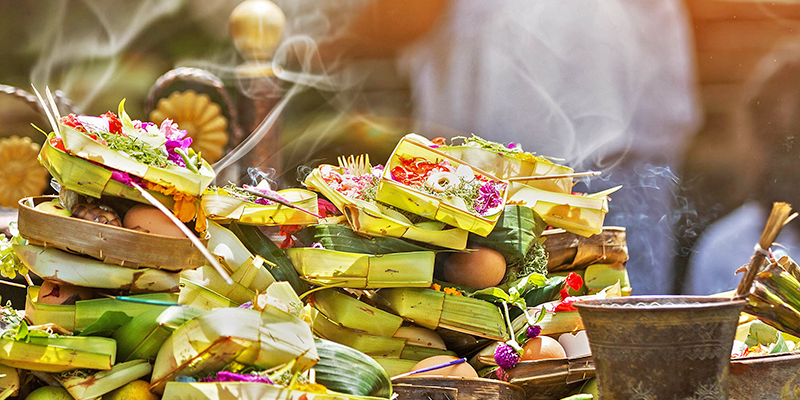 India is a land of religious fervor; we tend to worship the supreme power in various forms. While there are lac of conventional temples spread across India that you may have an idea about, but we bet you did not know about these unconventional temples. These temples are dedicated to deities that may not be the most conventional. 1. Ravana Temple in Ravangram, Madhya Pradesh: In Ramayana, Ravan is shown as a demon who kidnapped Sita Mata. So, Ravan is hated figure. But not in the small village of Ravangram in Vidisha district. Here Ravana is worshipped and there is a 10 feet idol of this mythological character. 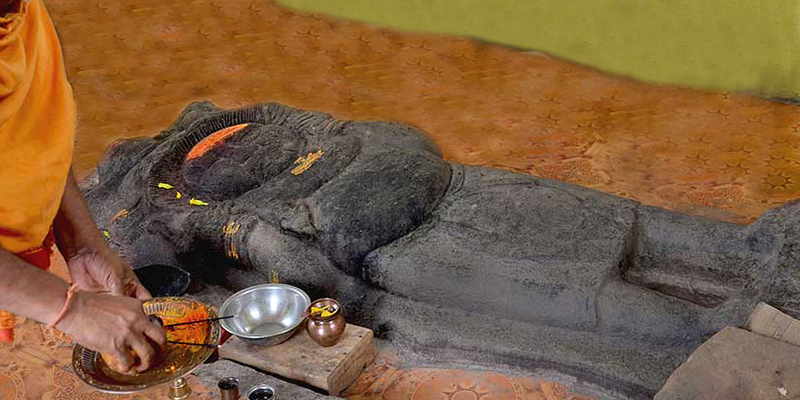 The idol lies in reclining position. 2. 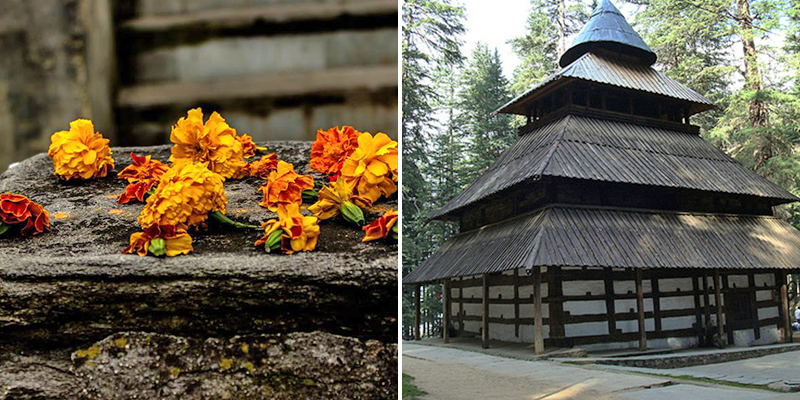 Hadimba Temple in Manali, Himachal Pradesh: This is one of the most famous silver screen temples of Bollywood. Many movies such as Roja and recently Tamasha were shot in its vicinity. The temple is dedicated to Hadimba Devi, who was Bhima’s wife and Ghatotkachh’s mother. It is a three storey wooden temple that located in Dhungiri Van Vihar. The locals believe that it is here that Hadimba meditated and became an enlightened soul. There are no idols in the temple; the devotees worship two large footprints. 3. 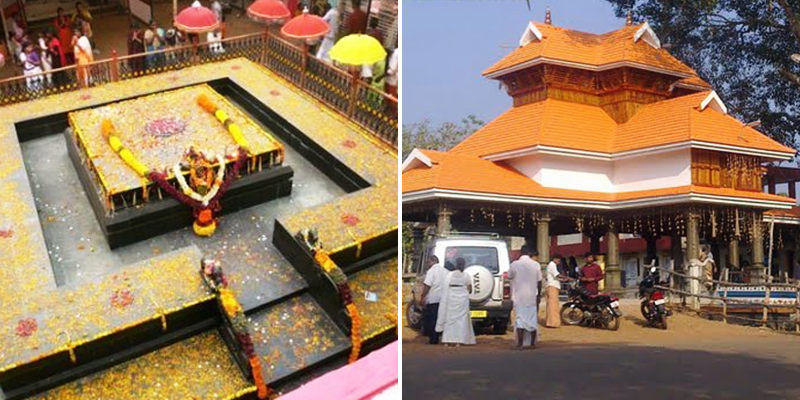 Peruviruthy Malanada Temple in Poruvazhy, Kerala: Temple is dedicated to the villain of Mahabharata, Duryodhan. It is believed that Duryodhan trod these lands to trace the Pandavas during their exile. He was gratified at the welcoming attitude of the people and sat on the hill worshipping Shiva and asking for the welfare of people here. Ever since, people of Poruvazhy hold Duryodhan as a holy soul. Vested with glorious Kerala architecture, there is no conventional idol within the temple, only a raised platform which is known as ‘Mandapam’. 4. Bullet Baba Temple in Jodhpur, Rajasthan: Temple is well known for its odd deity. 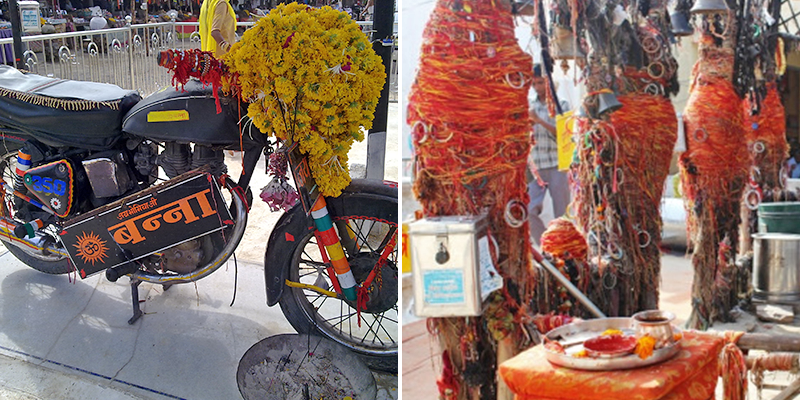 Devotees worship a motorcycle, 350cc Royal Enfield Bullet at this temple. This motorcycle was owned by Om Banna who was killed in a road accident. As the story goes, the police visited the site of accident taking away the motorcycle thrice and each time it reappeared at the same site where the temple lies. Today, it has become an important temple in the vicinity. 5. Kansa Temple in Hardoi Road, Uttar Pradesh: When one passes through this small village there is a huge statue of Kansa visible. This idol marks the odd temple of Kansa. Kansa in the Hindu mythology is an evil figure who imprisons his sister and brother-in-law and kills their offspring to protect his own life. But this temple has Kansa as its deity and prayers are offered here for the well being of people. Villagers believe that it was here that Kansa sat in meditation for many years. 6. 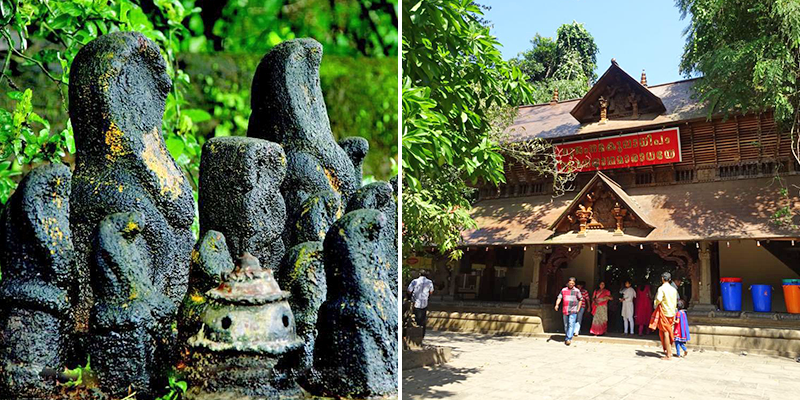 Nagaraja Temple in Mannarasala, Kerala: Snakes can be deadly, and thus people generally like to stay away from them, but not at Nagaraja Temple in Mannarsala. Though there are many such temples dedicated to the Snake God or Nagaraja, but this is India’s largest such temple. This is an important temple for women seeking fertility. There are more than 30000 stone snake images within the temple compound. 7. 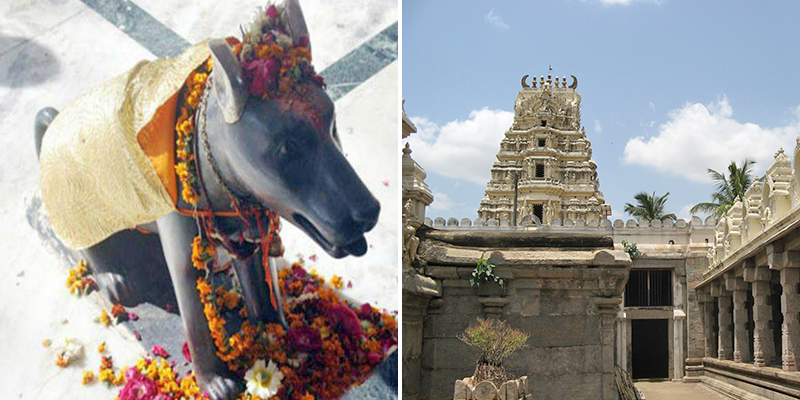 Dog Temple in Channapatna, Karnataka: This unconventional temple was established in 2009 to respect dogs and their quality of faithfulness. There are two dog faces acting as idols within the temple. Villagers believe that the deities in this temple will stop any wrongdoing in the area. 8. 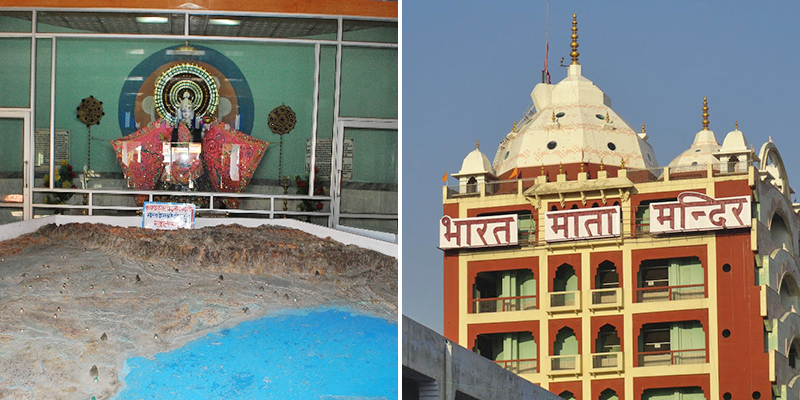 Bharat Mata Temple in Haridwar, Uttarakhand: A temple that personifies our nation as a deity was established in 1983 by Swami Satyamitranand Giri. This unique temple is located in Sapt Sarovar. This eight storey building has the idol of Mother India wearing a Saffron colored saree and holding Indian tri-colour in one hand.